It’s all about the beef. 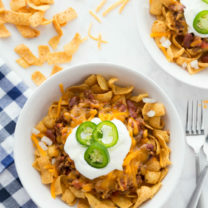 Being able to toss dinner into my crockpot in the morning and not think about it again till it’s time to eat is my favorite way to cook. 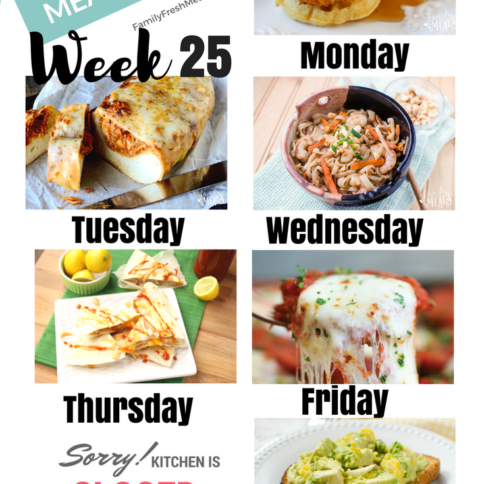 I love not having to worry about stirring, flipping or mixing and still having a delicious (and more often that not healthy) dinner to eat at night. I’ve been using my crockpot for so long that I feel like I can cook almost anything in it. But this post isn’t about just anything. This post is all about beef. 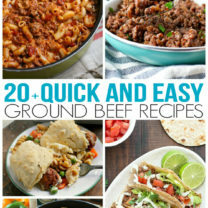 Beef is a super versatile meat, but it can take some time to cook. However, the longer you cook it – the better the flavor. 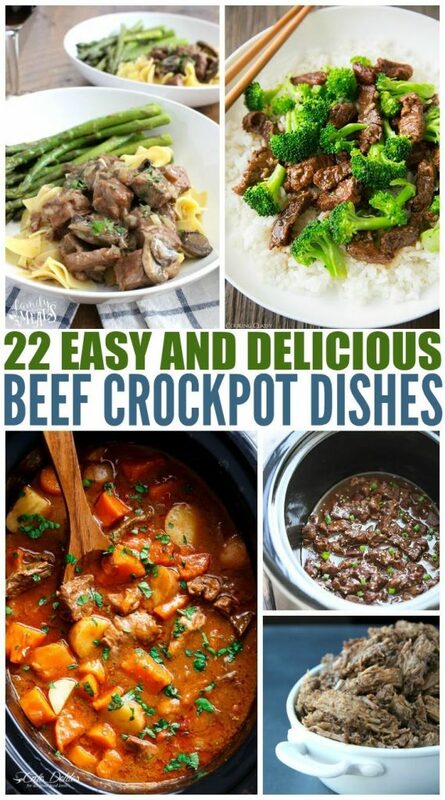 If you are ever in need of MORE crockpot ideas, make sure to follow my Crockpot OBSESSED Pinterest Board. The name really does say it all. 1. 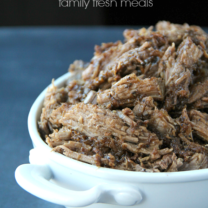 This easy Balsamic Beef crock pot recipe will easily become one of your favorites. 2. You can serve Korean Beef over rice or stuff it in tacos, the possibilities are endless. 3. 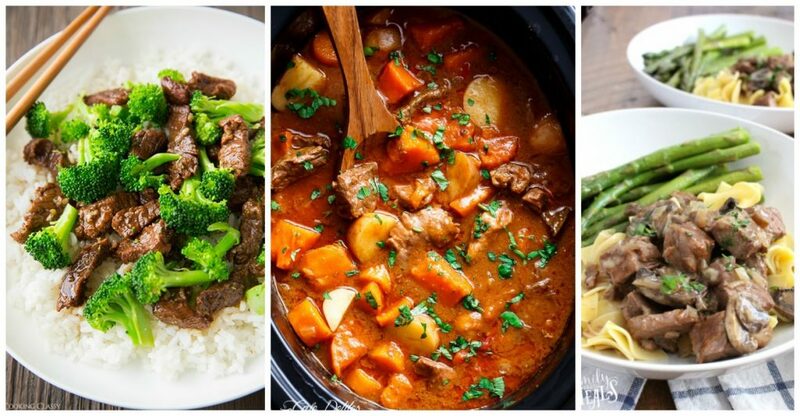 You can have delicious Beef Burgundy in just three simple steps. 4. This Beef Ragu is packed with juicy tomato and garlic flavor. 5. All you need is five extra minutes to have delicious Korean BBQ Beef Tacos . 6. This Braised Beef Ragu will have even non meat lovers begging for more. 7. Nothing goes better with Sunday football than Beef Stew . 8. Forget boxed dinners, make this Cheesy Pasta & Beef instead. 9. Having a hectic day? Beef & Broccoli is the perfect meal for when you’re in a rush. 10. Beef Tips With Gravy can be served with over noodles or mashed potatoes. 11. Beef & Sweet Potato Stew creates a flavor explosion so rich, you’ll be excited for leftovers. 12. 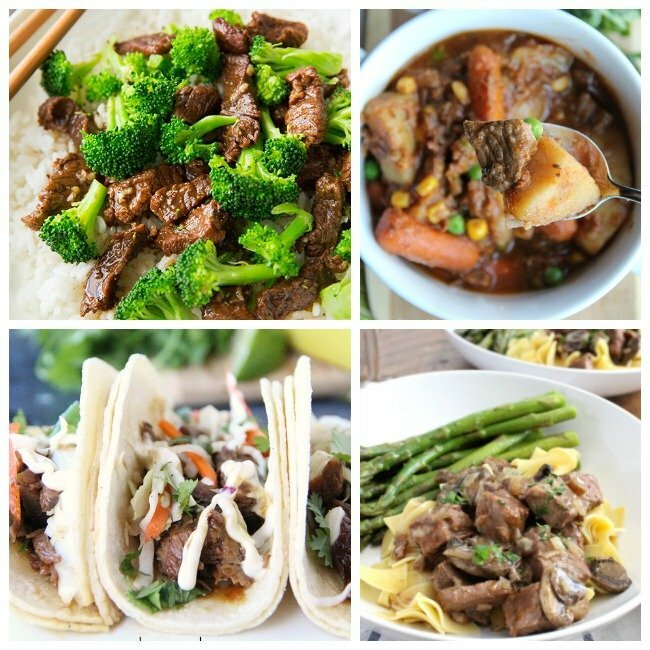 Mongolian Beef is cooked in a dark, rich, sweet and sour sauce that the whole family will love. 13. This super easy Beef Stroganoff will leave your house smelling amazing. 14. This super easy recipe will have you craving Beef Fajitas at least once a week. 15. Who says Corned Beef And Cabbage just has to be for St. Patrick’s Day? 16. You can top nachos or tacos with this Mexican Shredded Beef. 17. With only five ingredients Beef Roast & Carrots takes no time at all to make. 18. Paleo Beef Stew is even Whole30 approved. 19. This Stuffed Peppers recipe calls for a rainbow of different colored peppers. 20. Lucky charms for breakfast and then Irish Stew for supper. 21. Normal beef stew is lame. Try this Mexican Beef Stew recipe instead. 22. Feeling under the weather? Beef Noodle Soup is the perfect answer. 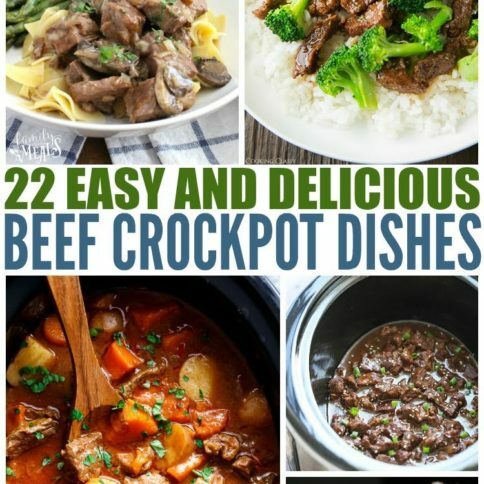 I have rounded up 22 of my favorite, delicious and EASY Beef Crockpot Recipes for you to try. 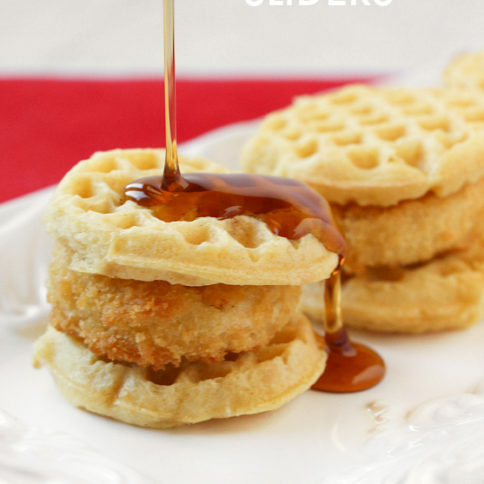 All are tried and true family favorites! In a medium bowl, mix together broth, balsamic vinegar, brown sugar, Worcestershire sauce, soy sauce, minced garlic, salt and pepper. Place your roast in your slow-cooker. Pour mixture over roast. Cover and cook on LOW for 6-8 hours or... if you are in a rush, on HIGH for 4 hours. Once roast is done, shred meat, remove from crockpot and set aside. Place the liquid from the crockpot into a small sauce pan and simmer to thicken, about 5-10 minutes. Drizzle over meat and serve immediately.